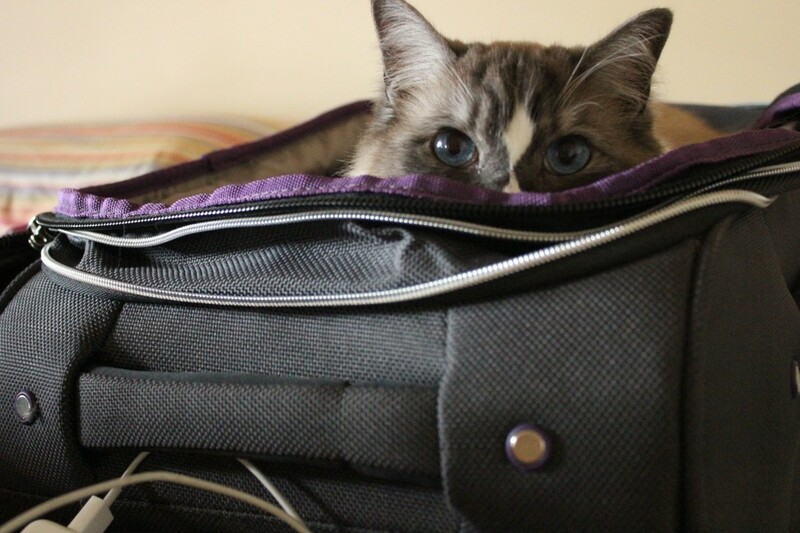 There is a myth, probably devised by canine lovers, that cats make poor travel companions. 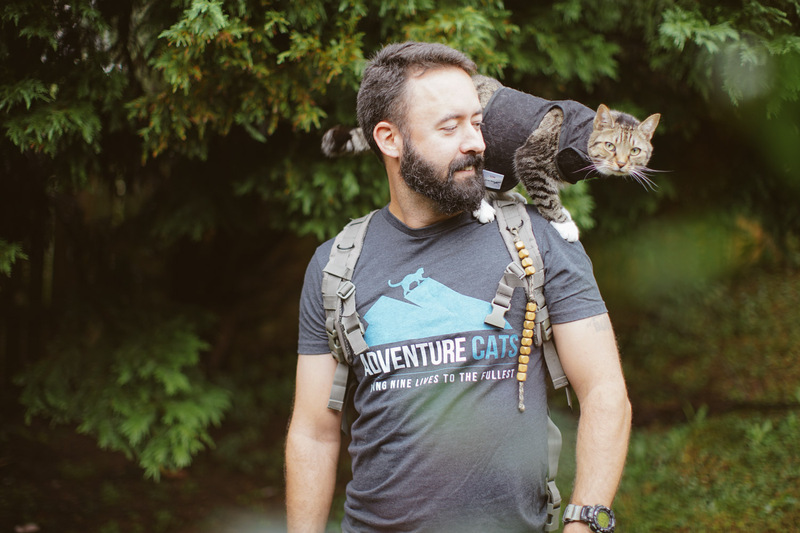 Any adventure cat owner knows this is totally false, but traveling with your favorite feline can come with a special set of requirements. Don’t let the pups drag you down! We have several tips and tricks to make your trip smooth as catnip. Have an ID tag on your kitty at all times and make sure she is microchipped! Thousands of pets end up in shelters every year because their owners never dreamed their pet would become lost on a trip. Pack a litter box. In the event of long car trips, a portable kitty bathroom is going to be needed, as will something to alleviate her need to scratch. Bring plenty of litter clean-up supplies and cleaner for any vomit that may occur during the trip. 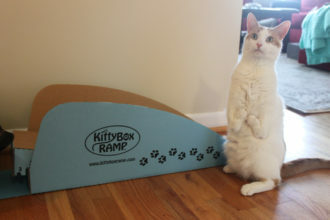 A scratching post or cardboard scratch pad is another must. Cats have a need to scratch, and better a cardboard scratch pad than your car, hotel room or hiking equipment. 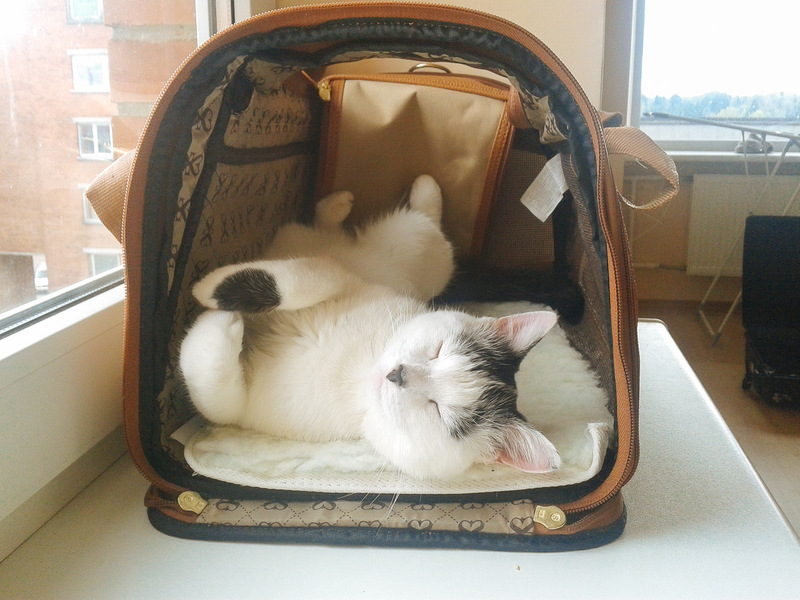 Layer her carrier with a towel or blanket that smells of home to increase her comfort levels while traveling. There are also cat pheromone sprays, such as Feliway, to use in the carrier that can calm your cat. 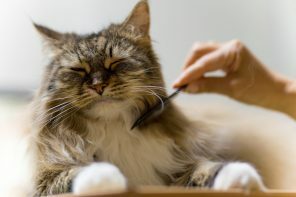 As with all sprays and medications, it’s important to test your cat’s reaction to the pheromones in the event it creates a negative reaction and causes her to interpret the scent as another cat’s markings and turn aggressive. 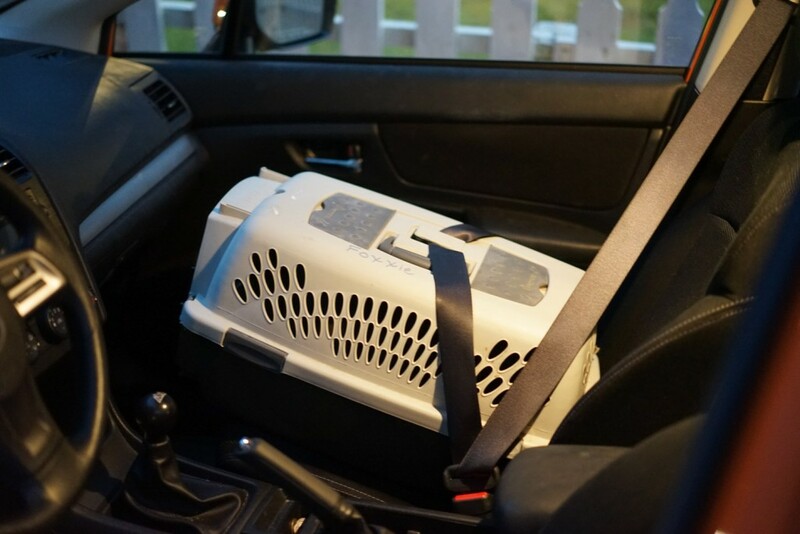 Veterinarians strongly encourage the use of seat belts for your pets in the car. Unfortunately, while there are many options available for dogs, cats have very few. What is instead recommended is use of a padded carrier that can be secured by a seat belt in the back seat. This not only provides her with a safe, comfortable place to travel, but you also don’t need to worry about the carrier sliding around the car or tumbling in the event of an accident. Wag.com has an excellent selection of pet car seats and carriers. 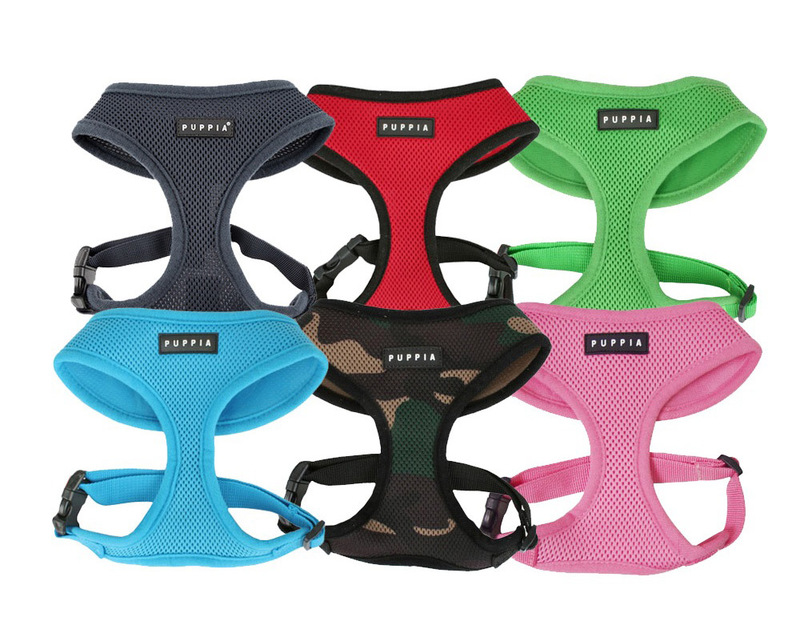 Pet Gear and K&H Pet Products also provide comfortable and well-padded lines of stylish carriers. Regardless of what you choose, make sure it’s well ventilated and can be buckled into your car. 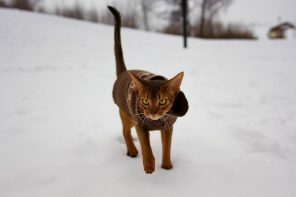 Also, have a harness and leash available if you want to let your kitty out in the car. In the event something spooks her, you don’t want her to interfere with your driving or get caught in a dangerous situation. Even though a car is an enclosed space, you don’t want to run the risk of her jumping from an open window or getting caught under the seat. Always have her harnessed and leashed when out of the carrier. 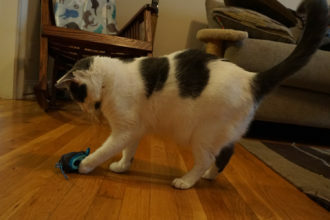 Look into leash training before you leave so it won’t be an added stressor for your cat. Most cats can overcome motion sickness with gradual exposure to the car. Start by introducing them to the car with the engine off and slowly build to short trips. Feed and water your kitty three hours prior to leaving for your trip, so he has something in his stomach, but isn’t overloaded. Anti-motion sickness medications, typically safe antihistamines, can be obtained through your vet. 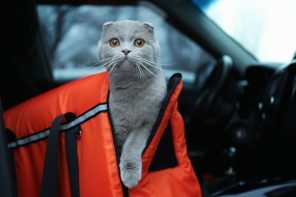 Don’t worry if you don’t want to dope him up — many cats are able to travel without the aid of medication after enough exposure. If your cat suffers from motion sickness, he will be quiet and drool, and he may pass a stool or vomit. Some cats are known to get a bit excitable during car trips. They may salivate, pant, whine, jump across the seats or attempt to cling to the ceiling. These are not symptoms of motion sickness, but hyperactivity. 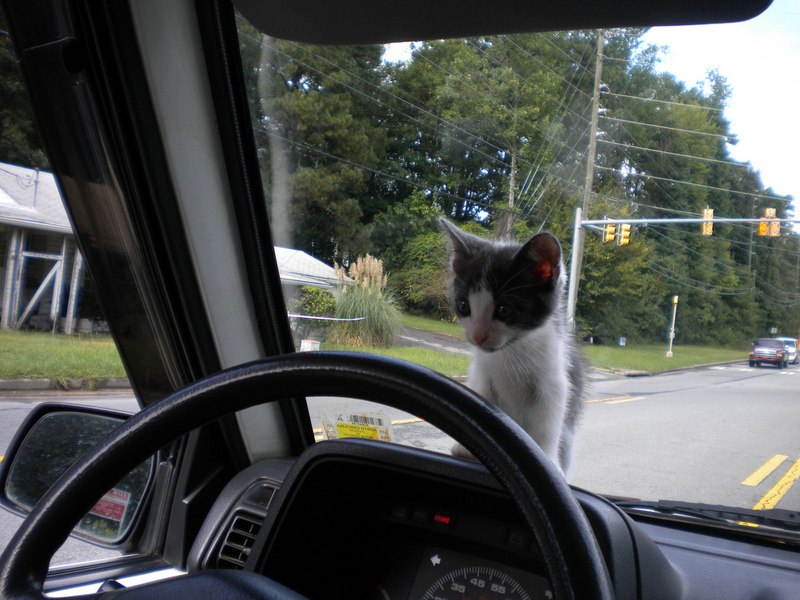 The best way to determine how your cat will react in the car for a long trip is to watch your pet during the adjustment phase. If she goes positively bonkers whenever in the car, sedation may be the key to a relaxing trip for everyone. Talk to your vet about dosages and do a trial run before leaving. Discovering your cat does not respond to sedation medication until you are actually on your way out can be stressful for everyone involved. An alternative to medication is using Bach Flower Essence “Rescue Remedy” in your cat’s water. 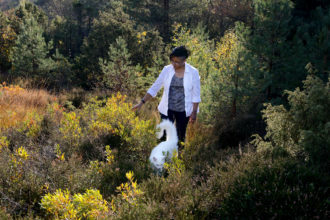 A few drops in the water and one orally will calm him and ease the stress of travel and new places. Opti Balance’s Stress & Trauma Relief is another all-natural product that may help ease your cat during travel. Most importantly, be prepared for anything and accept that the first few trips may take longer than anticipated or may not go as smoothly as expected. 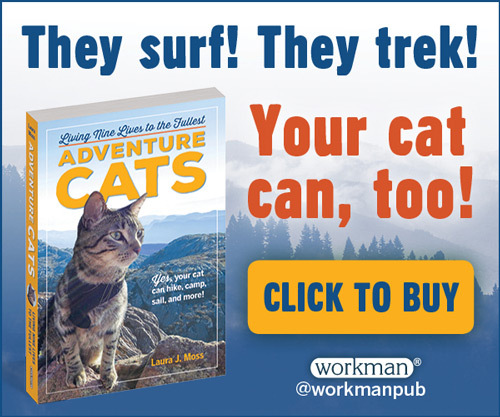 This is a learning process for you and your cat. The end result can be incredibly rewarding for the both of you, so be patient and pay attention to your kitty’s cues. 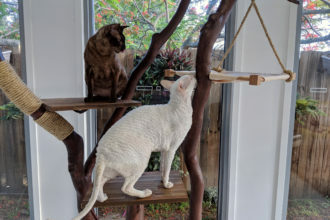 I’ve had the best results with the Feliway. The Bach’s was absolutely useless & a waste of money. I found that distracting the cats is a good technique as well.